Cute oceanfront cottage! 3 Bedroom, 1.5 Bath traditional coastal home that is very well maintained. Amenities include a large flat panel HD television, DVD player, wireless internet access and phone for local calling. Other amenities provided include ceiling fans, fully equipped kitchen with dishwasher and microwave. 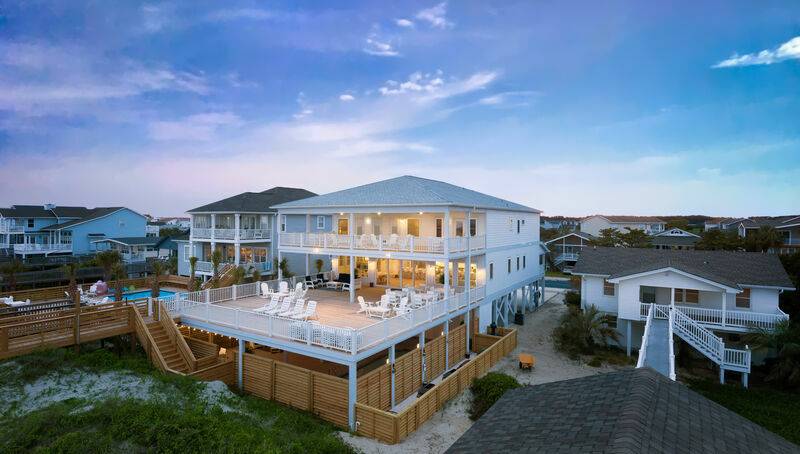 Outside enclosed hot and cold shower, covered porches, sundeck on sand dune and private walkway to the beach. Brand new expanded walkway to the beach, refinished hardwood floors, fantastic property! Non-smoking! NO washer/dryer. Accommodates 7. Bedding: Queen, Double/Single, Single/Single. We had a great time. Walked to dinner, sat on the second deck and watched the ocean at night - perfect.